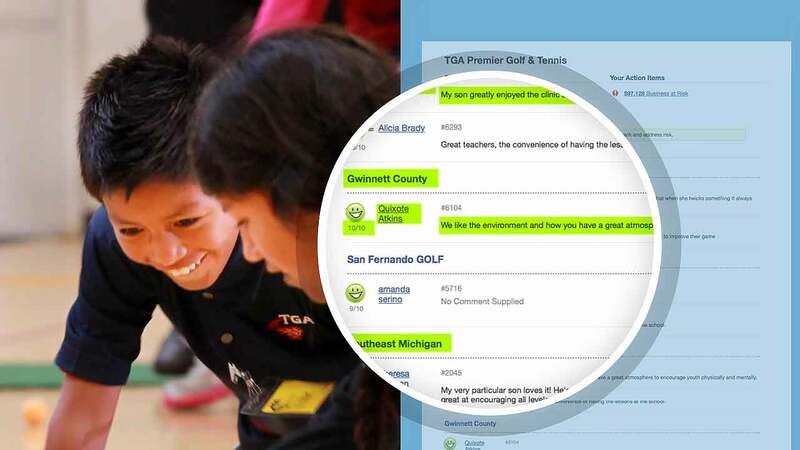 TGA Premier Sports offers many school enrichment programs for children. The programs run at community centers, parks, and schools. The classes for each of these programs are station-based. Students rotate between stations and complete engaging tasks. 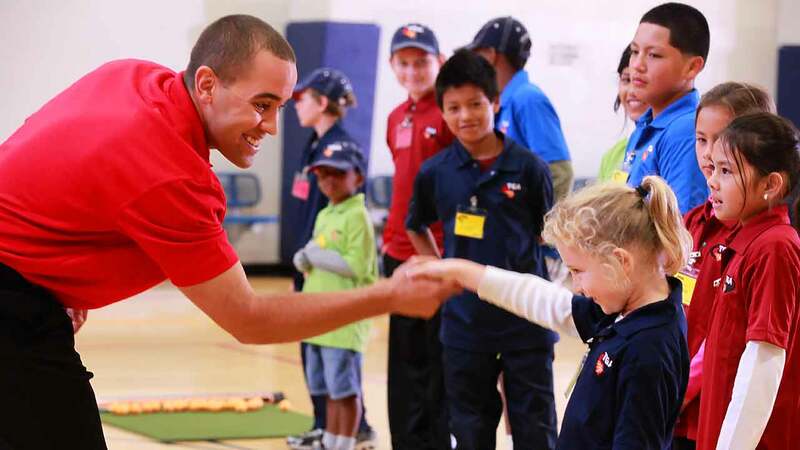 Children learn basic skills in golf, tennis and other sports. 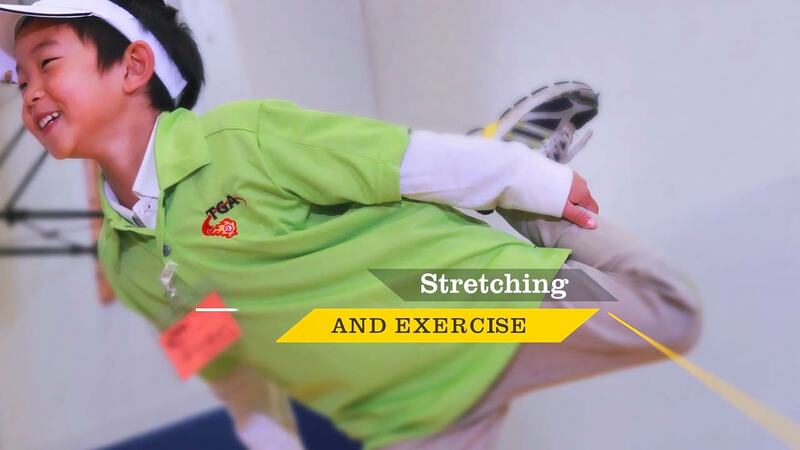 They grasp the main concepts of the sports’ rules and etiquette. 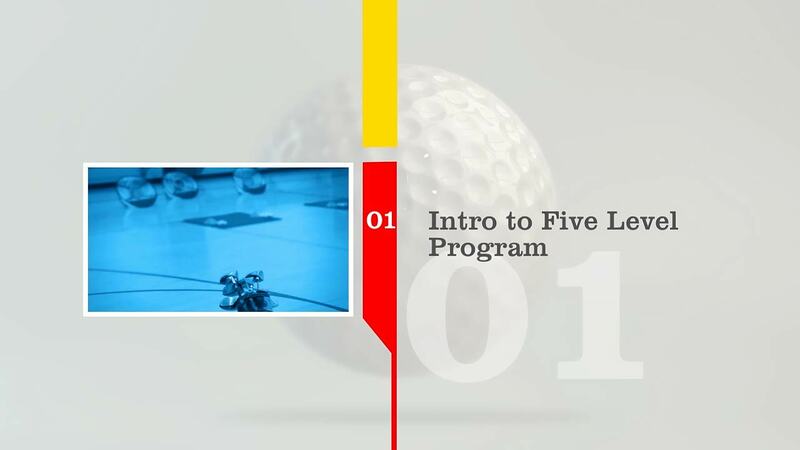 EKADOO’s team produced an online franchise video training course for TGA Premier Sports. 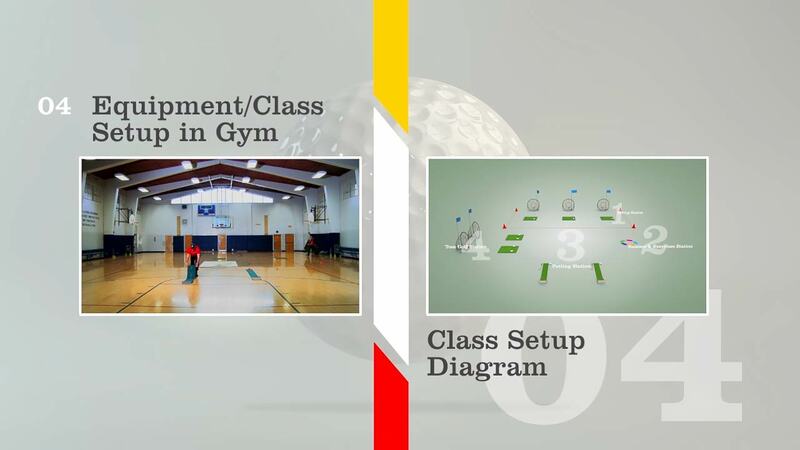 TGA designed this course for franchisees of their golf-enrichment program. It serves as a complete training guide on business operations and expected standards of conduct. We knew that we needed to come up with a robust narrative concept. The trainees should understand the field of study. The online content should deliver the franchise manual most engagingly. The videos should convey a strong branding and build a positive training experience. 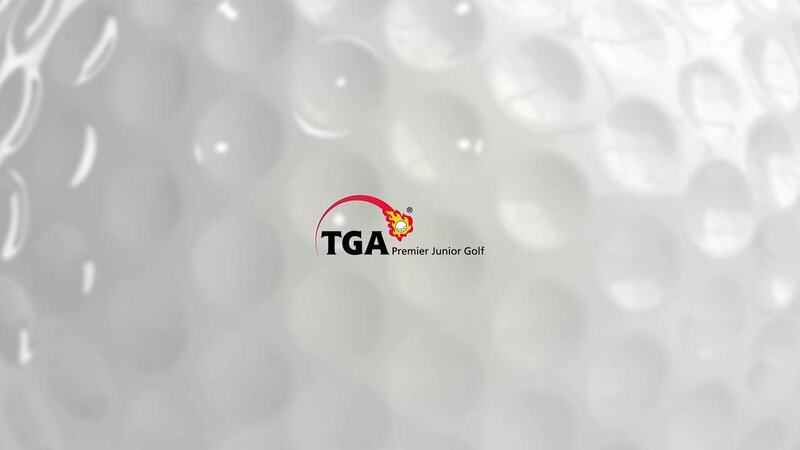 We found inspiration in both: the existed TGA corporate identity and the professional golf events. We used TGA’s cartoon-style characters from their operations manual. We placed those characters into 2D animations and blended them into the video content, thus creating a confident and kid-related look for the training course. It also helped us to carry the brand image from one medium to another in a steady way. 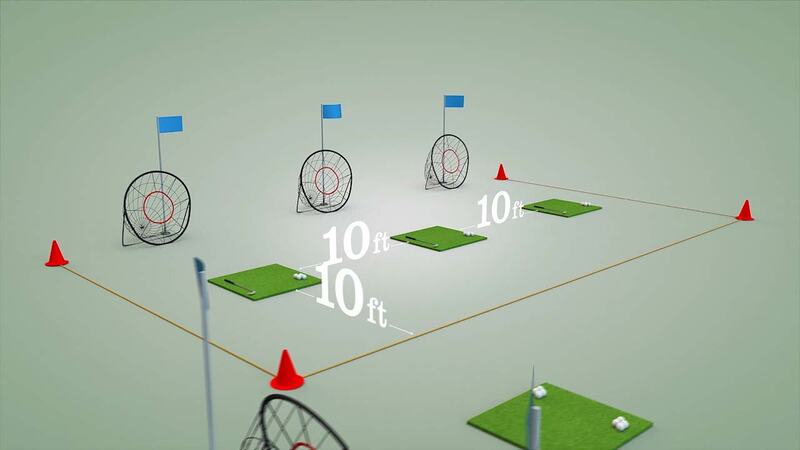 The energizing visuals of the golf related commercials helped to set the style. With custom 3D animations, we created news-like branded openers for the training chapters. 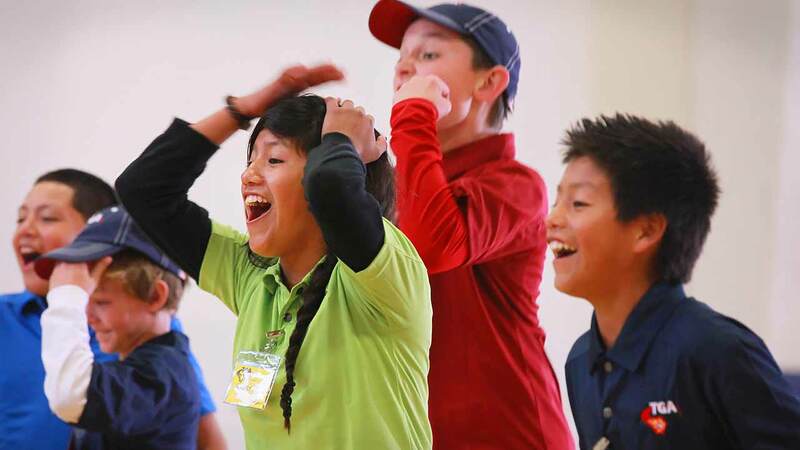 We wanted to convey the idea of kids being happy and entertained while they are in the golf program. We made lots of still images and used their fixed moments of proof throughout the course. What could speak better than smiling faces and positive emotions? Friendly interactions between the students and their coaches were a must too. It became clear that we have to develop a video course for people with no previous experience in this line of work. It happened soon after the EKADOO team met with the course authors and TGA officials. To keep a group of 15–20 kids focused and organized is a different challenge than dealing with your child. It requires specific knowledge and appropriate training. To have it done, we set up two video cameras in-sync for video production. We shot all training demonstration scenes from both sides—the coaches and the students—at the same time. 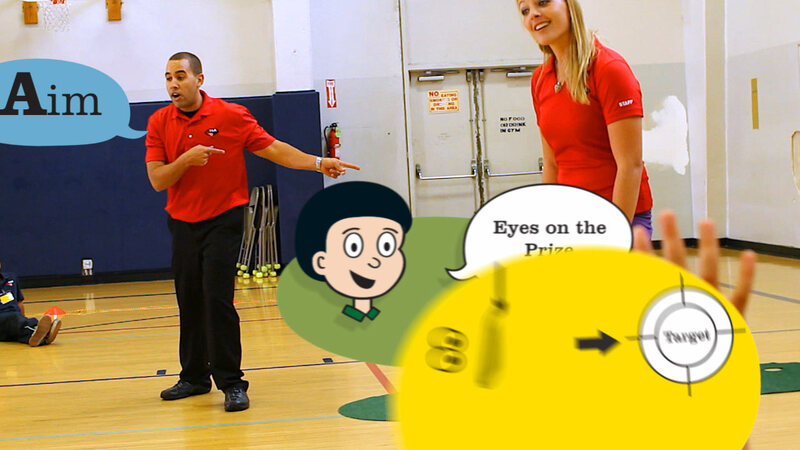 Presenting coaches parallel to kids was an excellent reference for rookie franchisees. The time-lapsing and animated graphics techniques helped to add more detail and clarity. It was necessary for more complex topics of the curriculum. During the post-production stage, we were experimenting a lot with 3D motion graphics. The idea was to combine live video demos with their 3D animated versions. 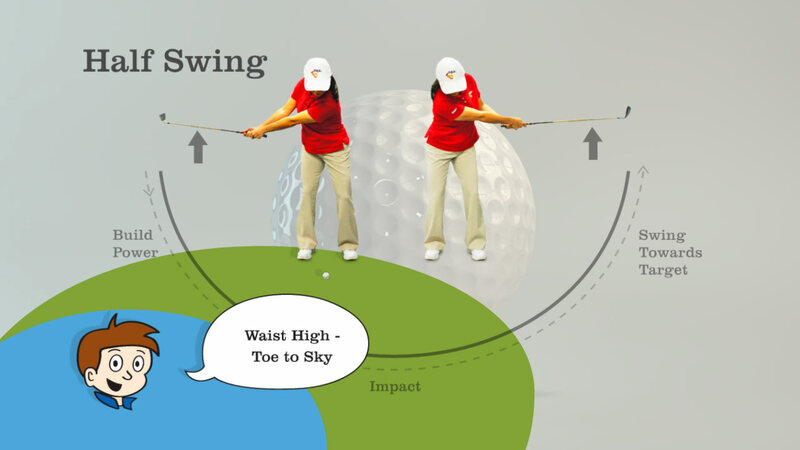 When delivered in order, it helped to memorize complicated routines a lot easier. Live video footage provided a complete visual experience with the proper settings, while 3D motion graphics helped to focus on critical operational steps and numerical data. For the 3D scenes, we kept only essential visual elements. We dropped all irrelevant visuals to keep trainees focused. Such repetitive combinations worked well to keep the acquired knowledge.